The Beguines were a Christian ministry originating among the women of the laity outside of those who took monastic vows and entered convents. The “Beguines” gained their identity from a Belgic root-word—beg—meaning to mumble or to speak without clarity. This term was used disparagingly by highly privileged men who were jealous of women who were able to live independently economically and hold positions of privilege. The Beguines represented a broad spectrum of women of differing backgrounds who gave their lives and means to help the destitute, the ill, the downtrodden, and the homeless. Laura Swan’s history of the Beguines is the first good complete treatment of the Beguines that this reviewer has ever seen. Swan develops her study of the Beguines historically, geographically, and descriptively. She traces the beginnings of the ministry of the Beguines back to the 1200s and attributes the genesis of the lay ministry to the life and work of Marie d’Oignies who lived in the town of Oignies in Belgium between A.D. 1177 and 1213. Marie, as became typical of a great number of the Beguines, came from a family engaged in Europe’s emerging market-economy and had independent means of support. Nearly all of the Beguines distinguished themselves, no matter their social or economic status. The women who took up Marie’s decision to live in the way of the apostles of Jesus (via apostolica), whether wealthy or not, pooled their resources in order to serve among the impoverished, the infirmed, destitute, and homeless. They constructed and operated shelters, hospitals, infirmaries, and care shelters. They also adhered to a different way of expressing the Christian walk by leading “lives of profound simplicity” rather than by taking vows of poverty. Any degree of wealth was to be utilized for the care of the destitute, the leper, and the homeless. The Beguines also valued participation within local parish churches, maintenance of a strict prayer life, and austerity in the use of finances to protect themselves from undue dependence on material goods. The Beguines were also shy to the extent they disdained any display of vanity. Such a life-style caught the eyes of others including merchants, clergy or political leaders. What Marie started began to spread throughout Belgium and north into the Netherlands. What the Beguines began also attracted women in France, Spain, Italy, and Lombardy. In Spain, they were referred to as the beata. In northern France, they were called fins amans—true lovers. These “lay women of faith” quickly took hold throughout central Europe and even as far east as Bohemia [Modern Czech Republic and Slovakia]. They also began appearing in Denmark where they became known as beginer and in Sweden as beginna. In Lombardy, they bore the distinction of being the humiliate, the humble ones. While the Beguines experienced increased antagonism from high-ranking clergy, their success attracted the Mendicant orders of the Franciscan and the Dominican friars. The Beguines also had the friendship of the Benedictine order in Tuscany, who shared the same concerns as the Beguines. Several Beguines became writers of note and engaged in theological dialogue with the scholars of the Dominican Order of which Thomas Aquinas is the most remembered. Among the literary Beguines were Mechthild of Magdeburg, Catherine of Genoa, and Hildegard of Bingen. Laura Swan is not the only recent author to give attention to the Beguines. In the recent September/October 2017 issue of Touchstone, James Hitchcock, in his feature article, “The Age of Reformations,” credits the Beguines, along with Gerard Groote’s Brethren of the Common Life, with hastening the Reformation of the 16th century (pp.37-38). Both the Beguines and the Brethren taught in schools across Northern Europe which put emphasis on reading the Bible to inculcate within the reader personal spiritual development and social morality. This reviewer found Laura Swan’s history of the Beguines fascinating mainly because most histories of the medieval church paid more attention to the Brethren of the Common Life and less attention to the Beguines. 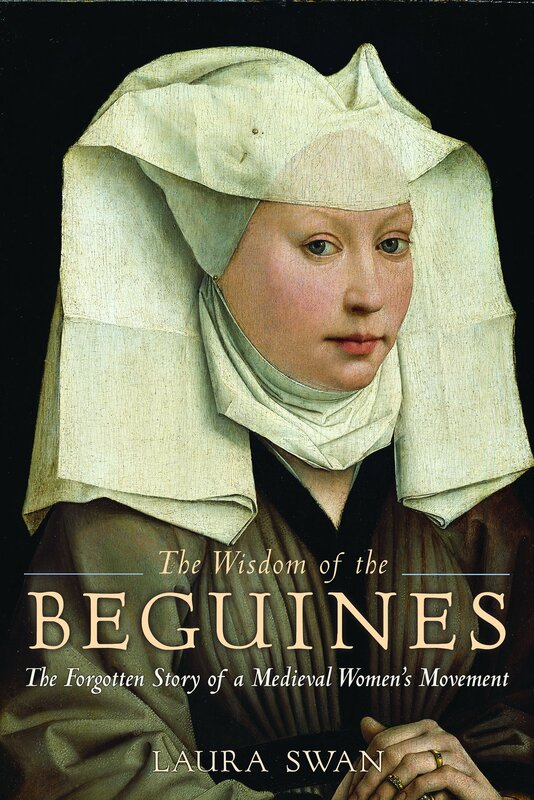 For this reason, this reviewer strongly recommends Laura Swan’s book The Wisdom of the Beguines in any study of the influences leading up to the Reformation. Both the Beguines and the Brethren of the Common Life formulated what has since been variously known as the New Devotion or the Via Moderna, the greatest exponent being John Tauler who had a great impact upon Martin Luther. What the Beguines –and also the Brethren of the Common Life—did was to develop a “Lay Spirituality” apart from convent and monastery, which made them suspect by the regular and secular clergy and those serving the pope. Some suffered persecution before eventually gaining favorable status within the church which came several years after the Council of Trent. Professor Swan provides three pages of endnotes as well as a twelve page bibliography of what she calls “select works in English.” There are many more resources available in Dutch, German and French. Also of interest is her discussion of the positive relationships with Teresa of Avila, Francis of Assisi, the Poor Clares, Peter of Taviers and Beatrijs of Nazareth, and individual clerics. The Wisdom of the Beguines is a narrative history just one hundred seventy-nine pages long apart from the end-notes and bibliography. It is worth the time for both students, ministers, and the person in the pew. To “whet the appetite” of the potential reader, I would add that the Beguines survived the Medieval Age to extend into the twentieth century with the last of the Beguines dying in A.D. 2013.